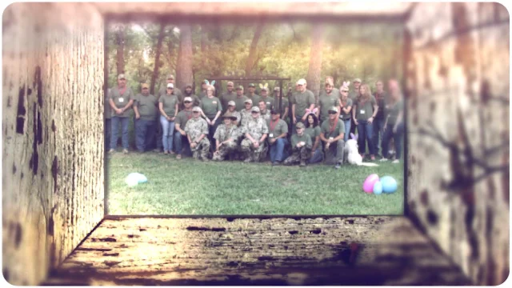 During the first weekend in June, Hunt with Heart welcomed four new families into our Hunt with Heart family at Camp La Pesca, in Port O’Connor. 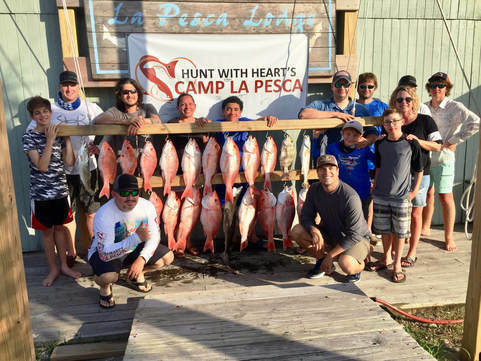 Camp La Pesca is our fishing camp, which allows our organization to focus our efforts on a younger age group of kids and get them involved with Hunt with Heart sooner. The four families who attended grasped our mission from the beginning making camp a huge success. Throughout the weekend they were able to bond, create life-long friendships, and make memories that they won’t forget! La Pesca on Friday afternoon. We did a quick meet and greet, went through the rules and schedule of the weekend, grabbed lunch, and then they were off on the water with their guides to kickoff their weekend! During the weekend their is non-stop fishing, the campers are even begging the guides to continue fishing after dinner each night. Our joke of the weekend was that we wished we could have just some of the energy that they have. Our Hunt with Heart guides are wonderful and want the campers to have the best experience and did whatever it took to make that happen, so they would take them night fishing for flounder. After fishing all day Friday and Saturday we got to come together and have a fish fry Saturday evening with the fish the campers caught. The campers really enjoy this part and ask as they are taking a bite of fish, “Is this the fish I caught?” They are excited that their hard work paid off and tasted so good too! On Sunday morning, before everyone starts their journey back home we do a ceremony to recognize each one of our campers and talk about their accomplishments and what their guide saw in them that weekend. This a magical time during camp and a time that really brings everyone closer and tightens the bond that was made throughout the weekend! They are sent home with a picture frame and a bag full of fish that they had caught to share with the rest of their family! 2018 Camp La Pesca was a success and we are so thankful to have four new families added to our giant Hunt with Heart family! 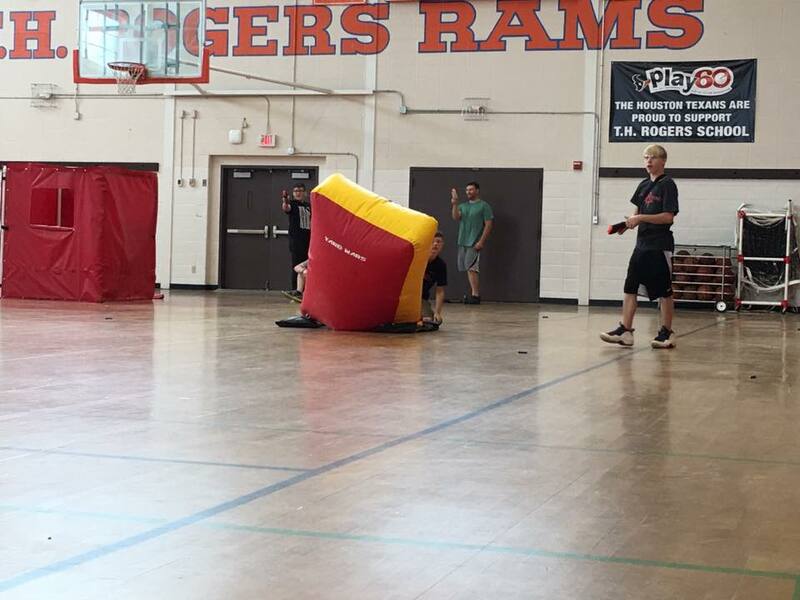 The fun has only begun! Hunt with Heart hosted their 12th Camp Beaver Creek and welcomed 6 new families into our Hunt with Heart Family during the first weekend of April. 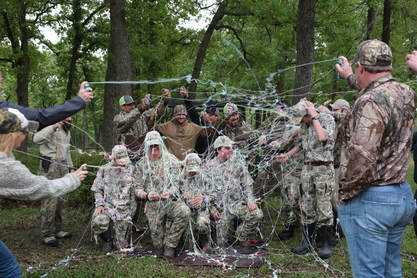 Camp Beaver Creek is a weekend-long hunting, fishing and shooting experience for six young people battling severe illnesses and their parents. Due to the nature of their illness, most have not had the opportunity to play team sports. Camp Beaver Creek focuses on creating camaraderie, inspiring confidence and building friendships through the sport of hunting and fishing. 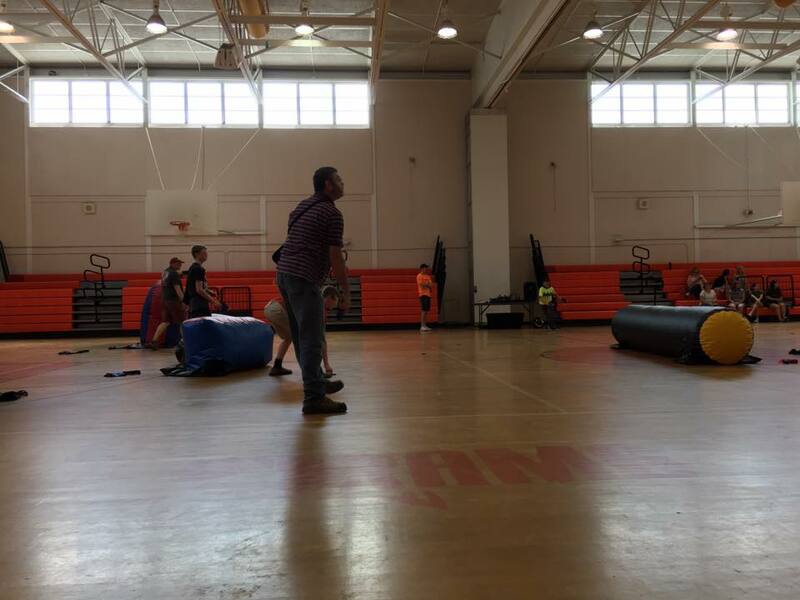 This environment focuses on their abilities, rather than the restrictions of their disability. Camp is offered twice a year once in the spring and fall and serves as an entry point for families to become involved in Hunt with Heart. 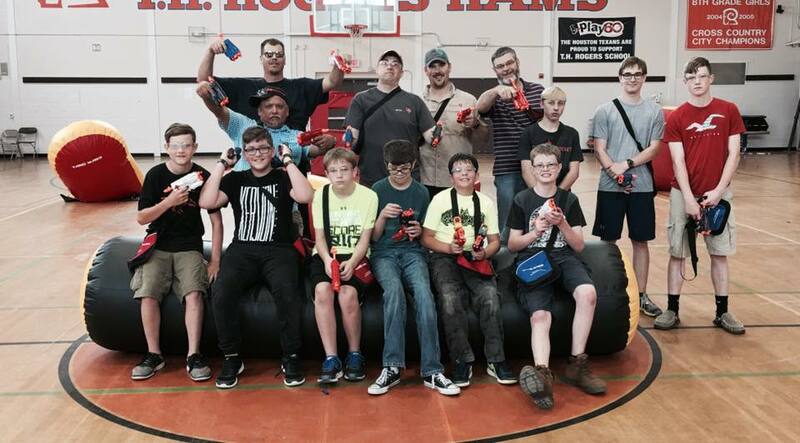 The campers and their families arrived Friday afternoon, we had a quick meet and greet and lunch and then they were off to the range for a safety briefing and target practice. Each camper has to “qualify” by hitting a specific target before going out to hunt for the evening. Three of our campers went out to harvest their ram on Friday night, all of them had a successful hunt and were able to harvest a Corsican Ram. The other three campers went out to hog hunt or check out the rest of the ranch. Then next morning the campers switch, we had two harvest their rams that, but one ram was making it a little challenging and didn’t want to come out. But our camper didn’t give up hope and keep hunting in with a great attitude, they were finally able to harvest the ram early Sunday morning. Saturday night we hosted our banquet, which a time to look back on what had happened during the weekend and see how our campers, families, and guides have grown from their experiences. It’s a very magic time, a time you have to witness to fully understand it’s impact. Sunday morning after the last ram was harvested everyone got ready to head home after an amazing weekend of fellowship, making memories and eating amazing food. During the weekend we also had a few special guest attend the camp, it was a great opportunity for our donors to see and witness the magic of camp and have a better understand of our organization and the families we serve. We were so thankful to have them. They made the camp very more special! 2018 Spring Camp Beaver Creek was very successful and we are so thankful to have gained 6 amazing new families with 6 amazing life stories!